The deadline for receiving proposals is January 23, 2019 by 4:00 p.m.
What is the budget for this? I see this running into the hundreds of thousands. Are you prepared for that possibility? No budget range is provided in the RFP. Over time, LAEDC understands that the long-term vision will require significant financial investment to bring all the workforce and education partners into the portal. The initial scope of work solely focuses on providing access to the 19 community college partners and LAEDC. The short term and long-term costs proposed by each respondent is an evaluation criteria. How did you think about the project deadlines? Those deadlines are very tight. The project deadlines are based upon research and need. One of the evaluation criteria listed in the RFP on page 5 is that the system be quick and easy to customize. Can you verify the user types? I see the following: 1/ hr managers at employers; 2/ LAEDC personnel; 3/ Community college administrators; 4/ Community college students. Yes, these are the main user types. It will also include Community College faculty and deans. Have conversations already been had with all of those parties on the needs for all of this functionality? Is there a prioritization ranking on what functionality has the highest impact / effort ratio? Would be super helpful in designing a roadmap. LAEDC personnel has engaged all the main users and determined prioritization ranking and functionality. 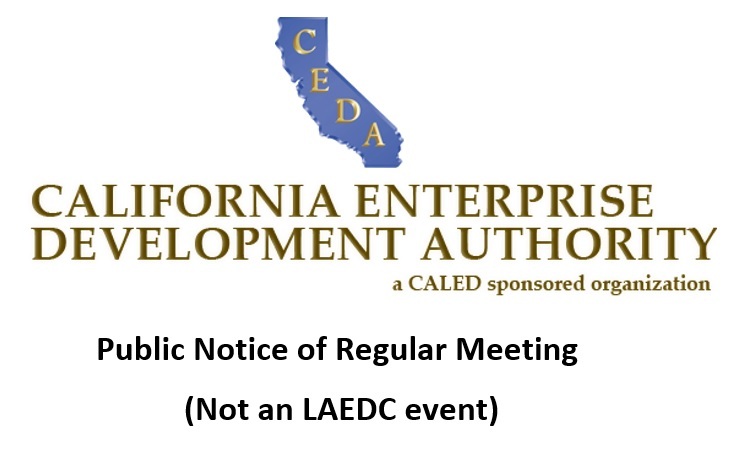 LAEDC personnel will supply this information to selected vendor as a part of developing the final roadmap collaboratively. Is there an approximate budget for the project? Please reference answer the Question #1. What’s the budget for this project overall?In order to provide a detailed accurate budget of our projected initial and/or annual costs, we would need more information on the budget. Business intelligence – Can you please define Business Intelligence – what data is this? what should be done with it in WEPP and how often is this data refreshed? The primary business intelligence that will need be shared from LAEDC’s current CRM into the WEPP is information around workforce needs and trends. Ideally, the data should be refreshed daily. Internship and employment opportunities – What data is going to be sent for internships/jobs? Data around internships/jobs include, but is not limited, to the following: employer name, address, job/internship titles, resumes, applications, links to company information, pay, start date, employee and employer surveys, job descriptions, and student resumes. Faculty professional development opportunities – What data is going to be sent regarding these opportunities? WEPP will be the portal through which faculty will be invited to attend professional development opportunities with relevant information such as date, location, purpose, and the ability to RSVP. Industry requests to work with education on curriculum development – Ability for employer to post requests for new curriculum would be implemented via our messaging service as a broadcast to all colleges or a group, is this what you are envisaging? Certification and competency requirements by companies – The assumption here is that this is part of the job requirement where the employer is posting additional details of the educational and competency requirements for a role, is that correct? Industry trends – What is an industry trend in this context, how is it represented in data and how do you envisage it being displayed, how often is it refreshed? An industry trend is information related to employment, capital, public policy, technological advancements, competition and other factors that impact other industries. The data will be represented in written reports, infographics charts, etc. Share firm‐level feedback through sub‐groups on the system around the 6 target industries mentioned above – Is a firm an employer? What type of feedback is this – are they messages or discussions or …? Is the feedback only shared within the group or is it shared with other partners and LAEDC? What’s the purpose of this feedback? Firm-level feedback is employer feedback that was gathered throughout industry councils, surveys, and other types of meetings with employers. The feedback will be shared within the groups to share the feedback as well as engage in discussions around topics. The purpose of sharing the feedback is also to inform curriculum development and training. Provide and share WBL opportunities including employment, job leads, apprenticeship, pre‐apprenticeships, etc. – Are all these WBL opportunities created in WEPP if not please explain? Are all jobs viewable by all schools? All the WBL opportunities should be viewable by all schools and sortable by location and industry. These WBL opportunities may be directly created in the WEPP or created in LAEDC’s CRM and pushed into WEPP. Receive feedback from each of the colleges around number of applicants or participation for each WBL opportunity – We are assuming that this is the ability to: Allow a college not directly using our platform to pull the jobs and post the jobs on their job board and then update our platform with the relevant data on outcomes. Is that correct? If so, what is that data e.g. views, applicants, hires? If not, please explain. Yes. The data would be views, applicants, hires, wage, and employment verification. Create groups around the 6 target industries with the ability to post and share documents, surveys, reports, comments, etc. – Do you know what you’d like the interface for groups to be, do you use one already that you like, … can you please provide a little more detail? We are open to evaluate any proposed interface. We anticipate that the interface will be intuitive, easy to navigate, and forward thinking in design to allow for future modifications easily. Ability to auto generate newsletters updating the groups about new information and opportunities – Can you provide more detail as to what you’d like to see in these newsletters, how often – more details would help us understand the requirements? The newsletter timeline may be quarterly. The goal is to have a feed of their subscribed industry cluster sent to them which would include highlights of conversations, reports, WBL opportunities. Send and track invitations for faculty development opportunities and the number of those who attended – See questions above about these opportunities? Can these opportunities be created in the WEPP? Yes, these opportunities should be created and tracked in WEPP. Number of employers utilizing the system to share employment and other work‐based learning opportunities – Is that an activity report and who can see it? Groups, admin roles only, etc.? Yes, an activity report is wanted. The report would only be seen by administrators. Allow for 200 users on the system – What types of user/roles are in that 200? Community college faculty and deans, community college administrators, LAEDC staff, and students for CCW Smart Match for Internships.